Want a fun way to add a little Sparkle to your room? 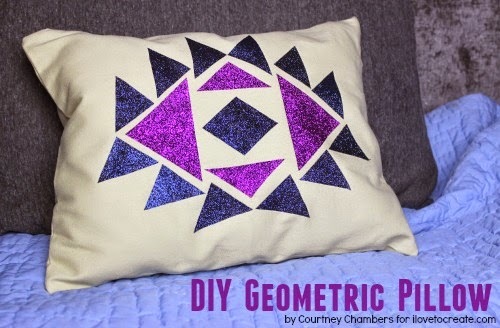 This DIY Geometric Pillow is the perfect way to add that little pizzaz to your space without it being over kill. 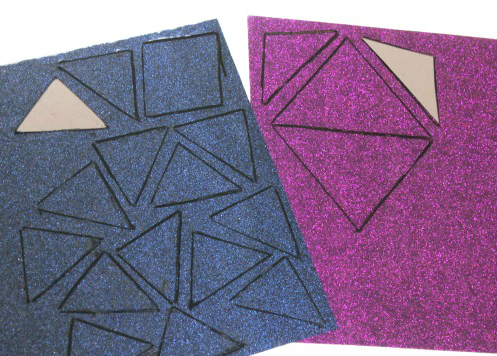 The modern geometric design is super trendy and the glitter is super girly! 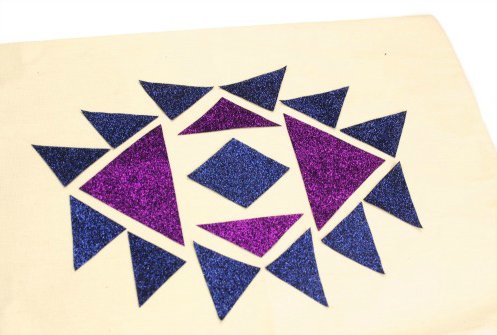 Step 1: Trace a bunch of geometric shapes onto the back side of the shimmer sheets. The back side is much smoother then the front side. 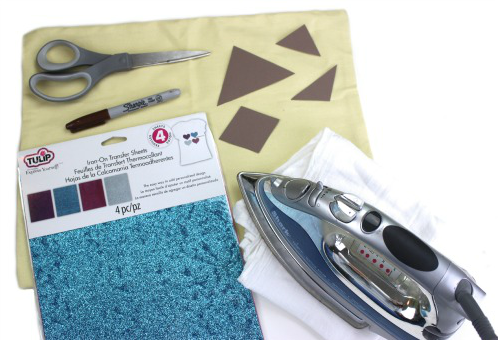 Step 2: Cut out all of the shapes with a pair of scissors. 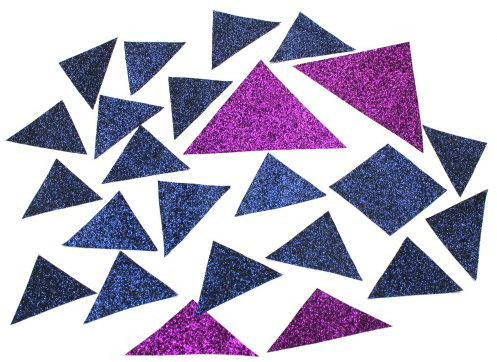 Step 3: Arrange the shapes into a fun geometric design, shimmer side up. This is the design that I came up with but feel just place them in a way that looks cool to you. 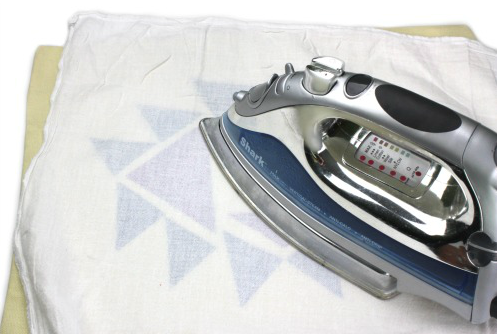 Step 4: Carefully place a thin ironing cloth over the design and iron on following the instructions on the packaging. and Whalah! 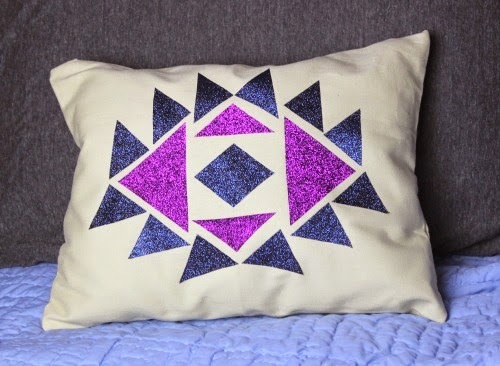 You now have a beautiful one of a kind Geometric Glitter Pillow! The best part is that the glitter won't rub off at all! Los datos que Alfajr nos ofrece de sus replicas relojes suizos son bastante más de los que tenemos en el resto de marcas (exceptuando a Casio), ya que nos dice también que la pila que monta es una CR2025, una pila bastante grande pero con la relojes imitacion cantidad de alarmas que tiene el reloj.